You know what they say…” every girl’s crazy ‘bout a sharp dressed man.” Actually, a well-tailored suit or tuxedo looks fabulous on anyone. And that’s what we strive for – going the extra mile to make sure each member of the groom’s wedding party looks their best. StarDust has partnered with Jim’s Formalwear for their 50 year history of quality merchandise and exceptional service to bring you the best styles and selection of the top trends in formalwear. We begin the process with an initial consultation with a stylist to determine style, color and accessories. 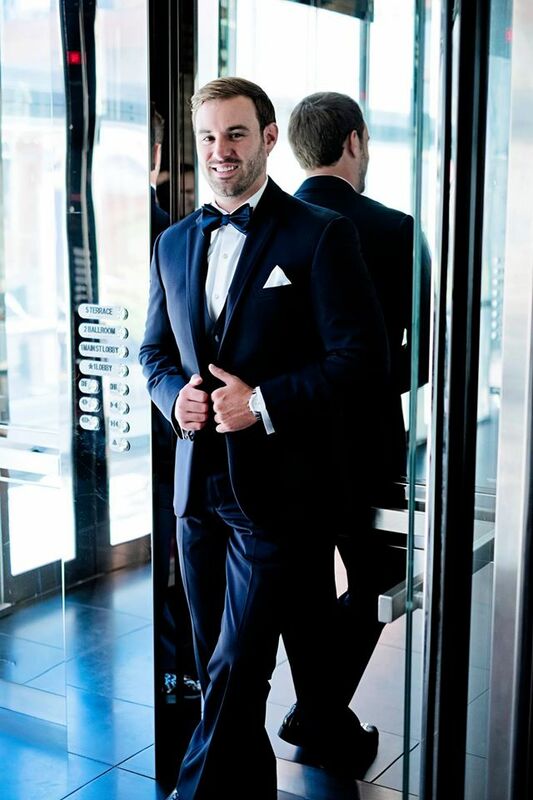 If you have purchased your gown at any of our salons, your groom receives discounts on the entire group’s tuxedos! Call 972-781-1619 to inquire about our latest tuxedo promotions!